Barnes & Noble's eReader rumors date back to April, but they were thin. With a recent FCC filing, and the WSJ saying it's coming next month, it's fair to call it imminent. The device is expected to feature a six-inch screen from digital-paper maker E-Ink Corp. with touch input and a virtual keyboard, like the one used on Apple Inc.'s iPhone. 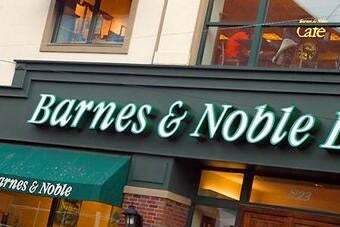 The Barnes & Noble device is expected to also use a wireless connection to download books from the online e-book store that the books retailer unveiled in July, those people said. A six-inch screen? An onscreen keyboard, huh? That sounds a little like Sony's pocket readers. There no word on a possible price, hardware partner or carrier relationship, but given that B&N has up until now operated solely in the software sphere, I can't help but think they've got something hidden up their sleeve for their much more secret branded device.